One of the biggest challenges for most dog owners is the fact that their dog does not “Come” when they call. This adds needless frustration and stress to your life, while limiting your dog’s freedom to be off-leash, preventing them from going different places with your family, and fully enjoying life. Shuttle’s family contacted me for dog training in Tarrytown NY, because he had a tendency to runoff and not come back when called. Needless to say, this was worrisome to his owners and potentially dangerous for Shuttle. Within just three training sessions, we took Shuttle from unreliable to well-behaved and obedient. By using sound dog training principles, we can train any dog – regardless of breed, age, or size, to reliably “Come” when you call. “My husband and I contacted Steve because we wanted to train our one year old lab mix Shuttle to come reliably when off-leash. Shuttle is a very active dog who loves to run around; we wanted to make sure that he got the exercise he needed without risking his safety. We really doubted whether Shuttle would ever be capable of coming reliably. We had already had so many bad experiences with Shuttle’s disobedience when off-leash that we were not very optimistic about his receptiveness to training, but we knew we needed to do something. It was incredible to see Shuttle’s transformation after just a few sessions with Steve. He went from being incredibly unreliable and disobedient to reliably coming when called. Shuttle was more receptive to training than we could have hoped for, and we really have Steve to thank for that. Steve’s patience and expertise helped to shape Shuttle into the dog he is today – a dog who now gets to run around the way he loves to and is happier and healthier for it. While we primarily called Steve for help with Shuttle’s off-leash behavior, Steve also helped us with a myriad of other things from preventing leash-pulling to jumping. He provided us with the information and tools to keep Shuttle safe and happy in a variety of ways. 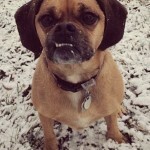 Mojo is a cute two year old Puggle with an aggressive side. His owner tried various techniques in order to help Mojo, but made very little progress. 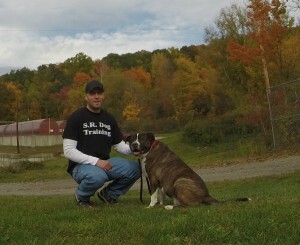 As a result, they needed professional help and contacted me for dog training in Tarrytown NY. Aggression cases are something most dog trainers cannot handle and will not take on, but this is one of my strong suits. Each aggression case is unique, therefore I cannot specifically outline what we did to help Mojo. However, a few of the fundamentals of our program were to make important shifts in his routine. This helps him feel more secure and confident in his owner, and reduces his need to feel like he should be protective and aggressive toward strangers. From there, I taught this family how to create a structured and comfortable walk. Walks not only provide physical exercise, but are also terrific leadership activities that the owner is in charge of. The other main component to our training was the implementation of my complete obedience training program. Obedience training is essential for all dogs, as a reliably obedient dog provides the owner peace of mind and reduces stress and frustration. A dog who always “Comes” when called and won’t jump on people, can have more freedom and accompany their family on walks, hikes, and go to family or friends’ homes. I want owners to understand that whatever you are currently struggling with and want to improve with your dog, we can successfully accomplish. I have worked with hundreds of dogs and helped countless owners, so your situation is not unique. The important thing is to begin properly addressing these issues now, don’t put it off until your dog gets older and the behaviors become worse. Frazier is a 2.5 year old German Shepherd mix who was displaying two issues that A LOT of dog owners struggle with. Frazier was very reactive toward other dogs/animals when out on walks. He is a large, which makes for an uncomfortable and potentially dangerous experience for his owners and others around them. Frazier also had a bad habit of incessantly barking, pawing, and mouthing guests who come to the home. Whether you are in need of dog training in Tarrytown NY or anywhere else, it is important to work with a qualified professional who uses a safe dog training system that is proven successful with all breed, age, and size dogs. Virtually all dog aggression stems from either a lack of proper socialization during the dog’s puppy stage, or the dog was attacked/had a negative experience with another dog in the past. In Frazier’s case, he had a bad experience with another dog when he was a puppy. As a result, he developed the “I’ll get you, before you get me” mindset when he sees other dogs. Since that time, he has been unable to attend dog parks, obedience training classes or puppy classes, so they were in need of in-home dog training in Tarrytown NY. We went over the important aspects of creating a structured walk in order to address his leash walking issues. We no longer want him feeling like he is leading the walk and needs to determine whether or not another dog is a threat to him and his owner. It’s critical for the dog to feel like their owner is in control of them and the situation. By using proper technique and leash walking concepts, his owners are now able to easily take Frazier for a stress-free and relaxed dog walk. It’s all too common for dogs to bark and jump on guests that enter the home. Not only is this annoying, it is potentially dangerous. Frazier was trying to solicit attention from his owners and their guests. One component to addressing this issue is to make sure we are not intentionally or unintentionally reinforcing the jumping behavior. Reinforcement can come in the form of: petting, food, verbal praise, physical touch (trying to push the dog away, grabbing their collar, etc. ), or even simple eye contact. 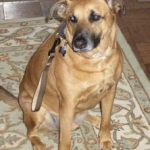 In home dog training in Tarrytown NY was the perfect solution for Frazier and his owners. It enabled us to train him in his home and neighborhood, which were the exact places his owners were struggling. A group training class or off site training would not have allowed us to achieve such a transformation for his owners. There is no need for you to live frustrated or stressed with your dog not listening or displaying unwanted behaviors.